Looking for more ideas on how to spend your days in Paris? You must download our Free 4-Day Paris Itinerary! It’s definitely frustrating when you want to have a great time in Paris on a lovely Sunday but found out that most shops and restaurants are closed! Don’t worry, INSIDR has your back! Here’s a list of tips on Paris restaurants open Sunday as well as cafe, brunch, Sunday market, dinner, wine & cocktail bars, nightlife that are always available to you (even on a Paris Sunday!). You can do food shopping or dine around whether it’s a morning, afternoon or Sunday night! Go to Marché Bastille before noon! 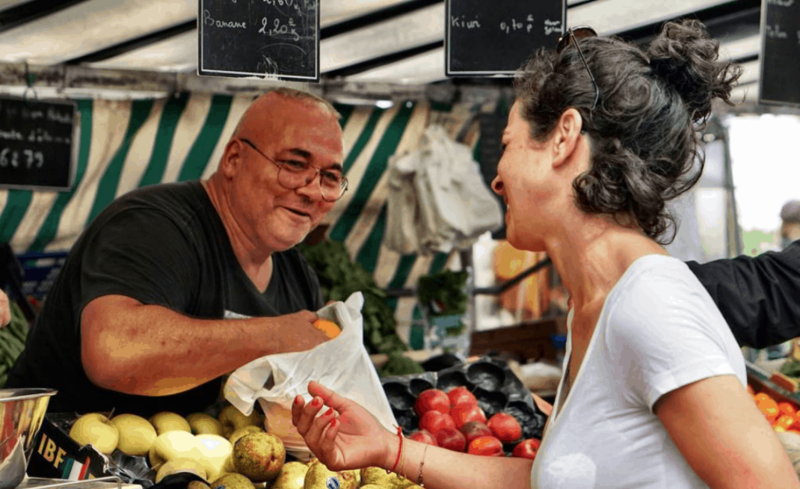 It’s of the largest food markets in Paris, with an impressive array of fresh fruit and vegetables, exotic spices, French local cheeses, butchers selling free range chicken and fresh fish and much more! You should also try their freshly-open oyster platter and roasted spring chicken for a delicious Sunday lunch! Shop like a local Parisian on a Sunday morning! Rue Cler in the 7th arrondissement is one of the favourite market places for locals. This street is filled with cute cafés, bakeries, pastry shops, butchers, florists, delicatessens, cheese and wine shops, fishmongers and chocolate shops! You’ll be seeing lots of Parisians doing their grocery shopping on this cobblestone-paved street or enjoying their Sunday lunch. French women love decorating their home with fresh flowers and plants. If you take a stroll in the flower market, you’ll see Parisians from all ages buying flowers here for their home! From fresh flower bouquets, small flower pots, plants, or even succulents, you can find anything botanical here! Or if you’re interested in birds, there are rare species in the market for you to explore too! Have your healthy breakfast or brunch in Season! 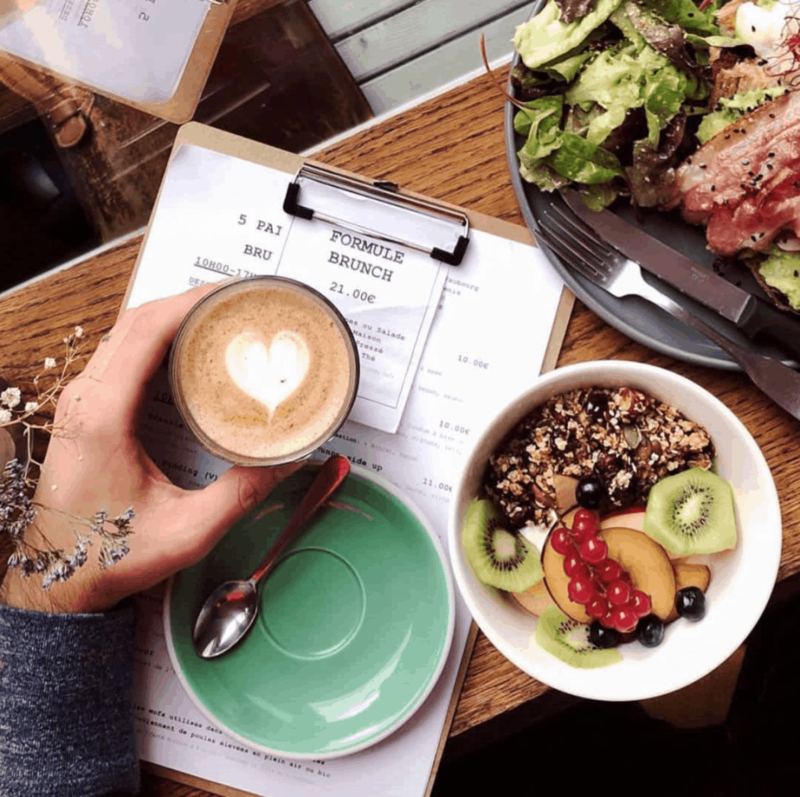 It’s surely one of the most popular restaurants that locals love at the moment, specialising in green food and vegan dining options! They do super yummy acai bowls, salads, and avaocado salmon toast with poached egg! Rustic interior décor but friendly staff, what else to ask for? Are you a big fan of pizza? There’s a newly-open pizzeria with attractive price that you should try out! Hidden behind a beautiful wall of spirits bottles, Pizzeria Popolare is the new Italian restaurant established by the Big Mamma group (their restaurants are extremely popular among Parisians), which offers margherita pizzas as cheap as 5 €! Their pistachio ice-cream and giant chocolate puff definitely are another must-try! Don’t forget to take some vintage instant photos with your friends at their Photo Booth! Don’t look for Starbucks, come on you’re in France! Carefully hidden behind the façade of a « cordonnerie » (shoemaker in French), it has become the hottest coffee shop among locals and is always packed! Grab a cup of quality coffee to go from its very smiley and trendy owner, or sit at their terrace to people-watch! Grab your coffee at 5 Pailles. This is the best place to enjoy a cosy tranquil Sunday afternoon! The small entrance gives way to a hidden wooden room with elegant charm.The modern and vegetal design of the cafe provides you with homey vibes of wood, cushions, and a stunning wallpaper. A green palm tree accompanied by plants fills the space with class, definitely an Instagram-able coffee house! If you are looking for a good rooftop bar to enjoy the view of Paris, Ice Cube Bar from Lafayette Gourmet may be where you should go! You can enjoy a cocooned happy-hour drink there, and sip your champagne in the Arctic-styled igloos! They also offer tapas & delicious snacks/ platters such as oysters and foie gras to pair up with your precious time in Paris. Have your apéro drinks at Bespoke Cocktail Bar & Restaurant! With its atmosphere of speakeasy, not only does it serve creative cocktails, but also offers a dozen dishes of tapas. Try their tartare of cod garnished with avocado dices, or sweet potato fries with barbecue sauce, or Capri C’est Fini, it’s one of their signature cocktail : everything is just so yummy. Paris Texas Restaurant is a newly open quality steak house that serves excellent dishes to meat lovers! If you fancy some classic Steak & frites or a generous proportion of Flat Iron, this is the place to be! They uses Race Black Angus raised in the open air fed entirely with cereals for 121 days for their grilled meat! Oh, don’t forget to try their house cocktails! Looking for the trendiest dining experience? 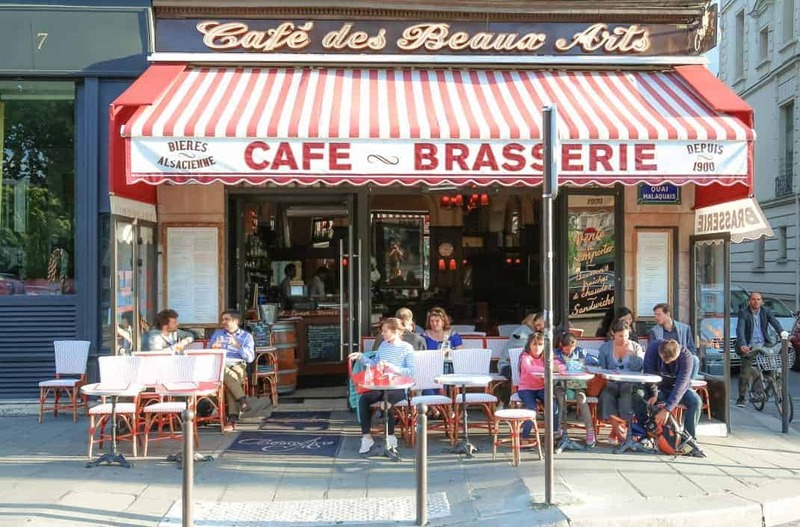 You should go to Brasserie Barbès! It’s a 4-storey café-bar-restaurant mansion with the dancing floor and live DJ set on the top floor and a cloak room at the basement. The dining floor is intimately stunning and impressive (so is the food), the patio and bar are just too nicely decorated that you feel the vibe instantly! Their cocktail is just mind-blowingly good as well! Definitely a popular place among young Parisians. Have your dinner at La Rotonde! Our new president, Emmanuel Macron celebrated his victory of the first round of election here! He is so full of energy and optimism, so as La Rotonde! It’s also where the French New Wave classic film Breathless was shot. You’re guaranteed a classy French dining experience here! French people love partying! If you are like one of them, continue your music or nightlife journey at Concrete! They have obtained their 24-hour license a few months ago and became the first club ever in France to operate on a 24-hour basis! Concrete has parties basically every day, with excellent DJ sets and line-ups that you shouldn’t miss! Experience the French vibe at Concrete and get your grooves ready!